Propagation of waves in complex media is a subject of great fundamental and applied importance. Properties of light, sound, elastic or matter waves can be profoundly modified in media with broken symmetries or disorder. Studies of these properties may bring additional information about the electromagnetic vacuum, shed light on the fundamental questions in light-matter interaction, or help to improve our understanding of selected topics in condensed matter physics. On the other hand, waves are widely used to probe complex media : optical methods are applied to study soft materials (colloids, emulsions, foams, etc. ), the ultrasonic imaging plays a major role in modern medicine, and elastic waves are used to detect cracks in large constructions (buildings, bridges or airplanes) as well as to image the Earth interior. Finally, complex, disordered media are promising candidates for creation of new sources of light for both environmental lighting and medical imaging applications. At LPMMC we work on the theory of wave propagation in complex media. Most of our research is done in close collaboration with experimentalists. The active exchange of ideas between theory and experiment has been a key to our recent successful research on Anderson localization of elastic waves , properties of the anisotropic electromagnetic vacuum , and geometric (Berry) phases of elastic waves . More applied topics are not neglected either : in recent years, we were actively involved in developing new approaches to detecting small changes in multiple-scattering environments , improving techniques for optical imaging in disordered media , and interpreting seismic data . We also work on such fundamental questions as the effect of nonlinearities on Anderson localization . This diversity of subjects witnesses the interdisciplinary nature of this research field : similar phenomena can be observed for different kinds of waves. Ideas can migrate, for example, from optics to acoustics and seismology, or even to the cold-atom physics. The interdisciplinarity makes this research topic particularly exciting for a theorist who can see his or her ideas and calculations come to life in various domains ranging from seismology to ultra-cold atom physics. One of the directions of our most recent research concerns the impact of polarization properties on wave propagation in disordered media. The polarization is an intrinsic property of light and elastic waves. We study its impact on fundamental wave phenomena, such as, for example, Anderson localization, as well as its possible use to probe disordered materials non-invasively. Another question under study is the impact of quantum effects on wave scattering and emission in complex media. The quantization of the wave field and the appearance of photons (for light) or phonons (for acoustic and elastic waves) introduce new aspects in old problems of stochastic wave dynamics as well as it gives rise to new opportunities in applications. 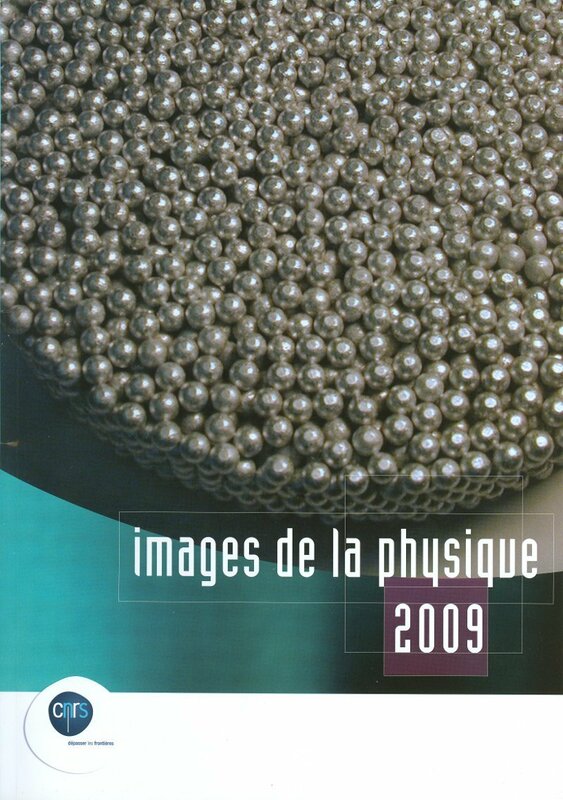 Cover page of the CNRS publication “Images de la physique” (2009) featuring our work on Anderson localization of elastic waves (collaboration with the group of Prof. John H. Page at the University of Manitoba, Winnipeg, Canada). The image shows the random elastic network composed of aluminium beads of 4 mm in diameter. Anderson localization of elastic waves in this network was proved by comparing experimental data to our theoretical calculations.